What Do You Think About Pay-What-You-Can Trend? *What do you think about the pay-what-you-can trend? How does it differ from pay-forward? I think pay-what you can is a step in the right direction. The question is not so much about the model but the values that the model is helping promote. In the case of Karma Kitchen, we are promoting a move toward 'other-orientation' (as opposed to self-orientation or self-maximization). In that sense both are good. The key difference between pay-what-you-can and pay-forward is the sense of connection. 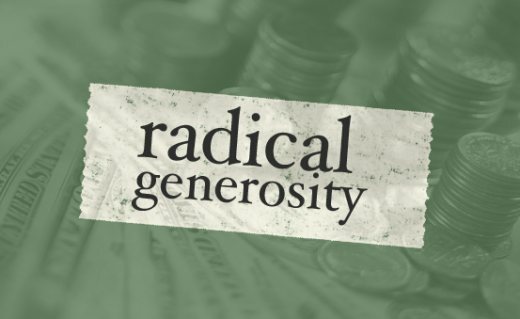 With pay-what-you-can model, the connection is to the entity offering the deal; with the pay-it-forward model, the connection is to the entity and every patron of the establishment, each of whom is explicitly making it possible to experience the gift of a meal. Consequently, you are also asked to do the same for others in whatever way you see fit. While it may make little difference looking at the numbers, the difference in the mind and heart is quite pronounced from what I've seen. Imagine two toll booths: in lane one, you pull up and are told its pay what you want; in lane two, you pull up and are told that the car in front of you paid for your toll and you can do as you wish. In both cases, you pay $1 and feel good to have the choice. Yet the sense of connection is different in the pay-it-forward lane and that leads to a different societal shift. *Does this have potential to become a nationwide movement, or do you think it's just a flash-in-the-pan? I think it was Clay Shirky that said, 'We are what we celebrate.' From that perspective, I hope this can become a nationwide movement. That being said, again, its not so much the model as much as the values. We are about sharing the idea of other-orientation, thinking of others first. This model is one way of practicing that, but anything that moves one to the other-orientation space is something we'd love to see. Societally, I think you see more of this in general with the green movement thinking about environment first, so it is certainly increasingly part of the collective consciousness. *What are advantages to this approach over charity? On some level, the line becomes blurred. The difference is more at a subtle level on what a person becomes through practicing these actions. Charity typically comes with a flavor of 'giver' and 'receiver', each of whom subtly play their roles. The giver has this bit of ego and the receiver plays the role of someone coming from a lower place. Pay-it-forward is about sharing the concept of the handshake. No giver, no receiver, only people shaking hands and sharing the goods. The underlying assumption there is that the material good is not what is of most value in the transaction, but rather it is the connection between individuals. If we get lost in the business model and forget that this is all an excuse for us to be better people, than we are doing ourselves a disservice through this activity. This is the same reason that the field of microfinance is going through occasional tough times -- someone looked at the model and said, 'This is a great way to get rich!' and decided to charge predatory rates, unqualified lendees, etc. All of a sudden, the model doesn't look so good. Someone like Muhammad Yunus, on the other hand, understands that the model is simply a vehicle to more easily practice values and use that to guide the decisions. The constant focus for us is to mimic that approach and always be thinking about how to use any model as such a vehicle to promote the value of service and giving. Birju: Yours is a nice discussion of some of the more subtle and thornier issues of PIF within the universe of gift economy models. In particular, I think you do a superb job of distinguishing PIF from pay-as-you-will (what the questioner sloppily calls "pay-what-you-can"). The difference is critical, and not always easy to discern. Indeed, while I am a fan of Karma Kitchen, I would argue that its PIF bona fides are way more difficult to readily appreciate than, say, a gift economy project like Upasana Small Steps, which also uses PIF as the mechanism of exchange. Perhaps this discrepancy is because the communitarian aspects of KK inure more directly and self-evidently to those who serve than to those who consume presently or might consume in the future. I agree with yo [...] See full comment. Birju: Yours is a nice discussion of some of the more subtle and thornier issues of PIF within the universe of gift economy models. In particular, I think you do a superb job of distinguishing PIF from pay-as-you-will (what the questioner sloppily calls "pay-what-you-can"). The difference is critical, and not always easy to discern. Indeed, while I am a fan of Karma Kitchen, I would argue that its PIF bona fides are way more difficult to readily appreciate than, say, a gift economy project like Upasana Small Steps, which also uses PIF as the mechanism of exchange. Perhaps this discrepancy is because the communitarian aspects of KK inure more directly and self-evidently to those who serve than to those who consume presently or might consume in the future. So many nuances here.. Thanks for sharing these thoughts..